The Securities and Exchange Commission today charged Merrill Robertson Jr., a former player for the Philadelphia Eagles, with defrauding investors, including coaches he knew from his time playing football for the Fork Union Military Academy and the University of Virginia. The SEC’s complaint, filed in federal court in Richmond, Virginia, charges Robertson, Sherman C. Vaughn Jr., and the company they co-owned, Cavalier Union Investments LLC. According to the complaint, the defendants promised to invest in diversified holdings but diverted nearly $6 million of the more than $10 million they raised from investors to pay for personal expenses and used other funds to repay earlier investors. Robertson and Vaughn, both of Chesterfield, Virginia, are alleged to have lied about the unregistered debt securities they sold, saying they would yield as much as 20 percent “while providing safety and security for our investors.” According to the complaint, the defendants claimed that Cavalier had investment funds operated by experienced investment advisers when it did not have any funds or investment advisers and was functionally insolvent shortly after it was formed. The defendants allegedly hid this fact from potential investors and relied on cash from new investors to stay afloat. The complaint further alleges that Cavalier’s only investments were in restaurants that had all failed by 2014, something the defendants never disclosed as they continued soliciting and accepting investors’ money. The scheme allegedly targeted seniors and coaches, donors, alumni, and employees of schools Robertson had attended. The SEC encourages investors to check the backgrounds of people selling them investments. A quick search on the SEC’s investor.gov website would have shown that Robertson and Vaughn are not registered to sell securities. In a parallel action, the U.S. Attorney’s Office for the Eastern District of Virginia today announced criminal charges against Robertson. 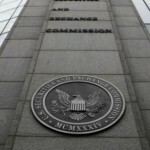 The SEC’s complaint charges Robertson, Vaughn, and Cavalier with violations of the antifraud and registration provisions of the federal securities laws and seeks permanent injunctions, return of allegedly ill-gotten gains with prejudgment interest, and civil penalties. 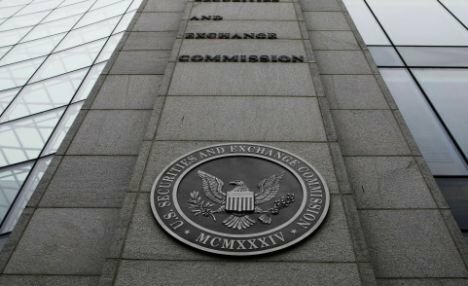 The SEC’s investigation, which is continuing, has been conducted by Lawrence D. Parrish, Dustin Ruta, and Kingdon Kase of the Philadelphia Office, and was supervised by G. Jeffrey Boujoukos. The SEC’s litigation will be led by David L. Axelrod and John V. Donnelly. The SEC appreciates the assistance of the U.S. Attorney’s Office for the Eastern District of Virginia and the Federal Bureau of Investigation.